Which Are The Best Value Cities In Germany To Live? 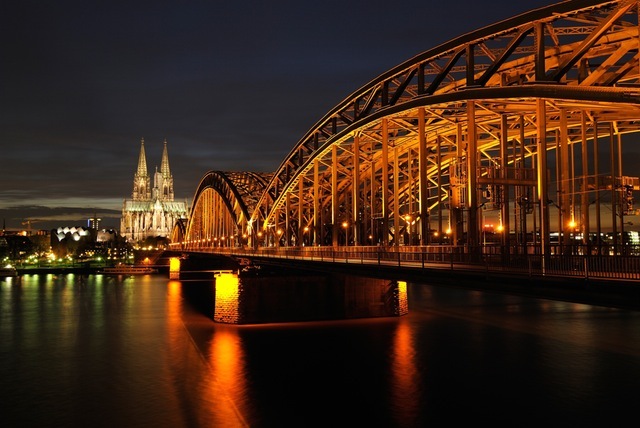 Which cities in Germany offer the best value? Lots has been written about Germany’s housing market approaching bubble territory and the ever-increasing rents pricing low and middle earners out of the most expensive locations. All of this is true, but there are nevertheless still areas of Germany which are extremely affordable. However, we want to take a different focus here and approach the problem from a different angle. Let’s get one thing clear first of all. Moaning about housing costs isn’t going to magically solve your dilemma of not being able to find an affordable apartment in the area you want to live in. So, why not look instead at which are the best value cities in Germany? Where an average apartment is comparatively cheap to rent when compared to other cities, or even other areas of the same city. And we also show how you can calculate whether it makes sense to sacrifice salary expectations, as a result of living costs being proportionally much more affordable elsewhere. If you're also looking for info on finding an apartment in Germany, together with some tips, tricks and advice on how to get ahead of the competition, you definitely need our FREE E-BOOK! How location dependent are you REALLY? The hint is to be found in the header I’ve used. Let’s accept the fact that some professions do tend to cluster in certain areas: Finance in Frankfurt, tech start-ups in Berlin, automotive parts suppliers in Stuttgart, whereas Cologne and Hamburg are major media hubs. Nonetheless, I would argue that in most situations, you are much more location independent than you may initially believe when it comes to a job search. This is especially the case if you are approaching your job search with nothing i.e. family, partner, or any other connection, determining in which part of the country you work. So, why not go and seek out employment in one of the best value cities in Germany, where housing is cheap as a % of your net income? It’s by far your biggest expense over and above everything else, once all of your taxes and social insurances have been deducted from your monthly salary. The difference between paying €7 per m2 on your rent in City X, and €10 per m2 in City Y on a 75m2 apartment is €375 a month. That’s €4,500 per year. With tax & social contributions in Germany hovering at around 40-45% (depending on various circumstances which are too complicated to explain here), this would mean you would need to earn €7,500 more per year just to cover the additional cost in rent between living in the more expensive city in this example. So let’s consider Person A, who earns €50,000 per year gross. Assuming he takes home 60% of that as net from his gross salary, that’s €30,000 per year, or €2,500 per month. This would put Person A firmly in the “hard-working middle class” in Germany. Or if we’re being a bit more to the point, this guy classically represents Mr. Average, or “Otto Normalverbraucher” as the Germans would say! In the example above, the cheaper location would result in Person A spending 21% of his net salary on rent (without utilities and fees). The more expensive location would push this up to 36% that he would have to shell out for the same apartment, but in a pricier location. Definitely worth a second though. So, with that revelation ringing in your head, let’s have a look at how Germany's top cities compare as an example. Looking at overall average rents is a good yardstick to ascertain which cities are generally the least expensive. These averages are all based on existing rents though. Meaning the data is skewed by tenants who have been paying the same (low) rent for the past 10, sometimes even 15 years! Rental contracts in Germany often didn’t used to have rent increase clauses, which means that any rent increases had historically been by mutual negotiation between landlord and tenant. This would have been based on the normal average rent criteria for apartments according to building age and renovation standard in the particular neighbourhood of a city. I say “didn’t have” because most (but not all) rental contracts these days account for some sort of index-based rent price increase, known as a Staffelmietvertrag. In a world of ever-rising rents and not enough new housing being built, landlords have got smart and ensured they are protected against having a sitting long-term tenant on a low rent in a rapidly rising market. The figures below are for 2016 as an average, and come from the real estate consulting firm F + B in their market report published quarterly on the state of the German real estate market. It is worth explaining and showing these figures to set the scene. However, they are probably not very relevant to you if don’t have a place already. In this case, it’s more accurate and representative to compare the costs based on data from new rental contracts. Which, sadly for you, means that those prices are going to be a lot higher based on current market trends. But better to understand and to be prepared for reality rather than basing your assumptions on data which is out of whack with what you’ll be faced with. 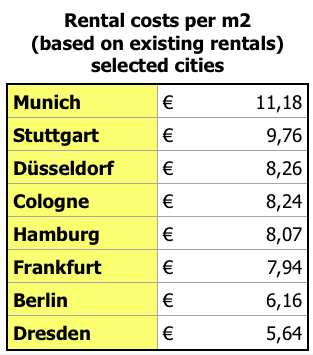 These are the statistics that you should be looking at when considering the best value cities in Germany: How much is it going to cost you to rent an apartment in the city of your choice? These numbers typify the average cost of a new rental contract being drawn up at current market prices. While it varies from city to city, 1-room apartments i.e. studios with a kitchen or bathroom, tend to be more expensive in cities with large student populations, whereas larger family residences tend to be more expensive in leafier neighbourhoods of popular cities, for example Bogenhausen in Munich and Sachsenhausen in Frankfurt. The prices listed below are again based on the results from the Q3 2017 report from F + B, and are based on an average 75m2 apartment, in a 10-year-old building, in an average neighbourhood. While the statistics are a bit patchy, I would use an estimate of around 20% premium on top of this if you want to live in a sought-after neighbourhood. Similarly there is a premium if you want to live in a new-build rather than a more mundane, functional postwar building. One reason driving this is energy efficiency. Interesting to note that Cologne, Düsseldorf and Berlin don’t even make the top 50 (Berlin comes in at number 102). No cities in eastern Germany make this list either, including the major cities of Leipzig and Dresden. Interesting to note also the ripple effect of the most expensive cities. The commuter belts of Munich, Frankfurt and Stuttgart feature heavily in the top 50. So, if you’re thinking that living outside of town will save you money, yes it may well do, but nonetheless in these popular locations the rents are still going to be steep compared to other areas of the country. Of course, looking at the price of rent in isolation is a bit pointless. High rents are usually defined by more demand than supply. In many cases, this can be explained by a red hot economy and an abundance of well-paying jobs. This isn’t always the case though. Rents in popular student cities and tourist hotspots often are much higher than the proportionate salaries in these places. Some of the smaller university cities in Germany, such as Würzburg, Heidelberg, Münster and Tübingen, have comparatively very high housing costs, beating some of the less expensive larger metropolises such as Hanover, Nuremberg, Leipzig and Dresden. Likewise, accepting a job offer with a good salary in an area where housing costs proportionally are really expensive may not be the wisest economic decision if you have the opportunity to work elsewhere, for a slightly lower salary, but with much cheaper housing costs. A €5,000 difference in salary can very easily be eaten up in housing costs if you compare, say, Munich or Frankfurt against Leipzig or Dresden. Remember I was saying above that Cologne and Düsseldorf don’t feature in the top 50 of the cities with the highest average rent for new contracts? Well, there’s another statistic which doesn’t put them in such a positive light. The table below looks how much rent you would pay as a percentage of your net income. Although that said, this is only available for existing rentals and not properties coming onto the market for rent, so this could skew the figures somewhat. Again, eastern German cities show up very positively here, too. Not only are rents cheap, but the average rent-to-net-income ratio is also low. There aren't as many international companies located there, which for sure makes it somewhat tougher for expats to find work, but nonetheless it is difficult to ignore the value for money that these cities offer. Another great example of how rents can vary wildly is simply by looking at individual cities and the range of prices between the most and least desirable areas. While this may sound painfully obvious, if you're only looking in the trendy neighbourhoods of, let's say, Berlin and are frustrated about lack of supply and high rents, there is one very important word: COMPROMISE. I'm not suggesting you live in the ghetto or move out to the last stop on the U-Bahn. What I am saying is that a bit of creative thinking, and not looking where the rest of the crowd is clambering for a room or an apartment in a sought-after locale, can bring dividends. If you're not sure where to start and need some help, wherever you are searching in Germany, contact us and we can help. As the numbers above testify, by compromising on neighbourhoods (and also the spec of the apartment, in all honesty), you can easily halve your rent without having to live out of town or in a rough area. We can take the hassle out of this at a very reasonable cost, without having to pay someone to hold your hand every step of the way. Firstly, salaries may be higher in the areas where the economy is the most healthy, but so are the rents! 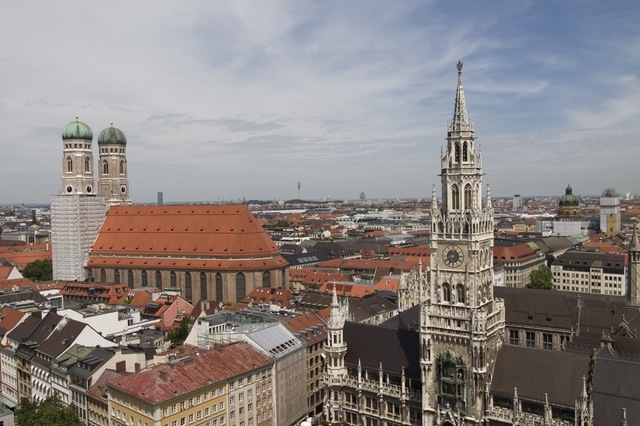 Earning a few thousand Euro a year less in a more affordable location, versus accepting that job offer in Munich, may actually mean all things considered you are better off. Not to mention the huge level of competition for apartments due to a shortage of available property to rent in the red-hot Munich market. Secondly, statistics can be misleading until you dig into them and examine what they are telling you. In this case, there are huge differences between the average price per square metre for existing rents vs. newly let apartments. Anyone looking for a place to rent must consider the latter rather than the former as a realistic measure of what to expect. And finally, due to the huge differences between the most and least expensive areas of a given city, it's definitely worth the effort enlisting someone who knows the market, as well as and being prepared to consider a few compromises to avoid spending more than you need to on rent. 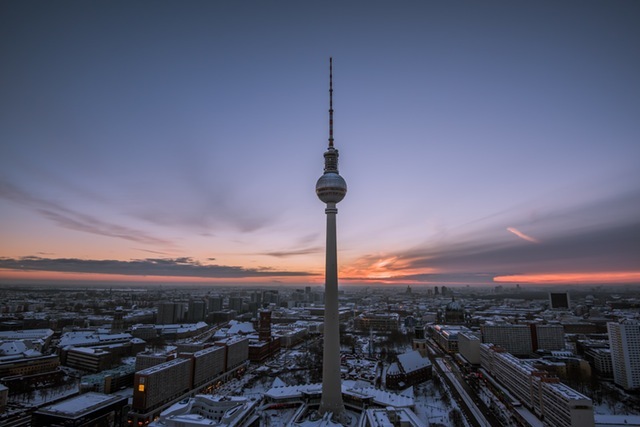 If you're looking for a quick, downloadable overview of the cost of living in Berlin, Frankfurt, Hamburg and Munich, then grab our quick at-a-glance guide to help you on your way! Join our email list and get this FREE download as a thank you!